Sponsored post written by me on behalf of Tyson Foods, Inc. The opinions and text are all mine. 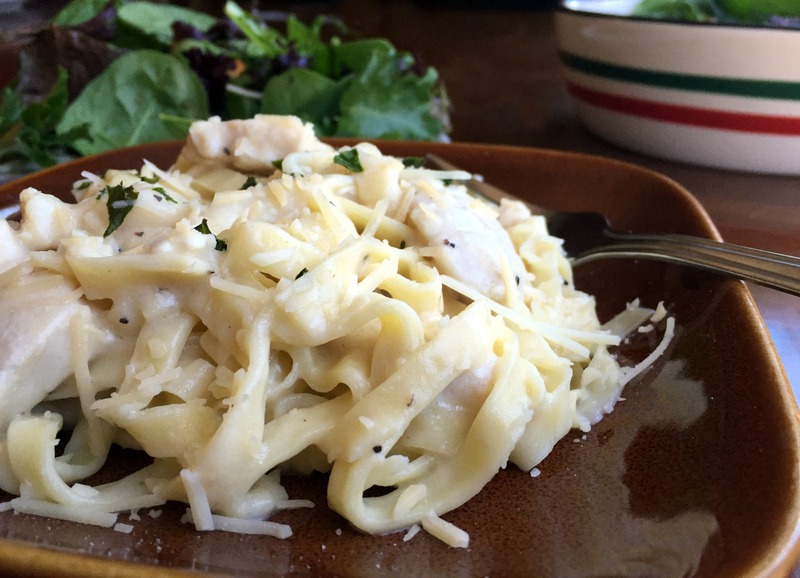 A couple of weeks ago my sister texted me a picture of the Creamy Chicken Carbonara Tyson® Meal Kit and said it was SO good and convenient for her busy family. My niece and nephew are 5 and 3, both playing baseball and my niece is in dance, so she is ALWAYS on the lookout for ways to streamline dinner for busy nights. Unfortunately I STILL haven’t been able to find that flavor in stock. (It must REALLY be good!) I was able to try the other flavors. I love ANY EXCUSE to visit my favorite store! 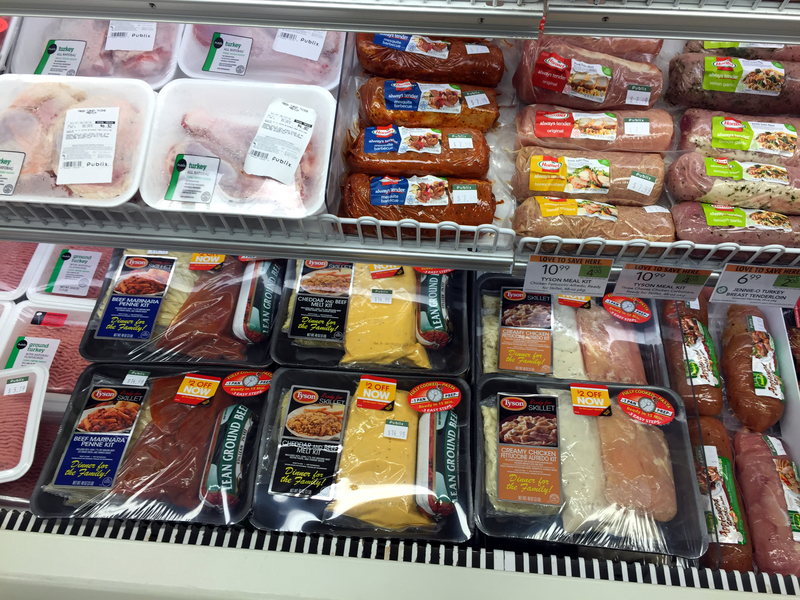 These meals kits are available at Publix, in the Ready to Cook section of the Fresh Meat Case. While I was there, I grabbed a bagged salad to serve with our Fettuccine Alfredo. The other day between volleyball & soccer, I had about half an hour to spare while the kids changed clothes, refilled water bottles and walked the dogs. It was the perfect day to put the Tyson® Meal Kits to the test. The directions for the meal kits are super simple. There is a package of fresh, ready to be cooked beef or chicken (depending on which kit you go with) a package of freshly cooked pasta (my favorite part), and a sauce pack. You just brown and drain your meat, add in the sauce and noodles and stir until it’s warmed through. I added freshly grated Parmesan and a little fresh basil to ours. Meanwhile I dumped our bagged salad in a bowl and called the family to dinner! I think it took me about 12 minutes? 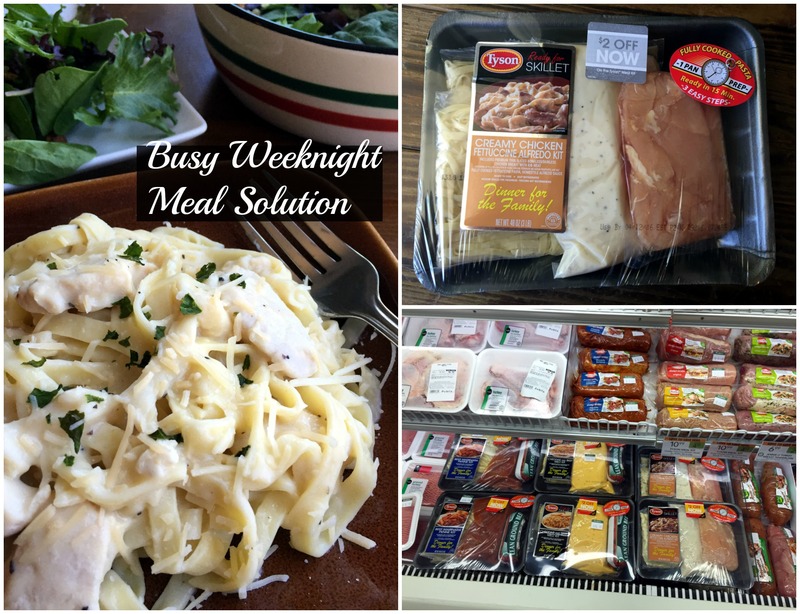 I really like that these meal kits are a one-stop solution for a complete meal for your family. They couldn’t be more easy or convenient to use. Want to give the Tyson® Meal Kits a try? The first 100 readers can get a coupon for a free Tyson® Meal Kit (max value $17.99.) The giveaway ends on 4/30 at 11 pm. Click here for more info! Which Tyson® Meal Kit would you like to try first?